Mirror, mirror on the wall, catch that burglar once and for all. 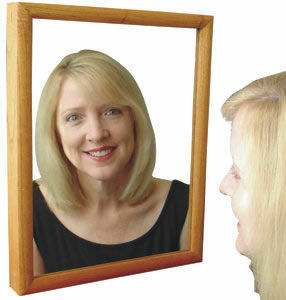 The Mirror Hidden Camera comes in a natural wood finish frame or a black frame. Includes an 8 hour battery pack. Dimensions: 15" x 12" x 2 3/4"
Black & White Cameras feature .003 LUX which allows best possible images in almost complete darkness.